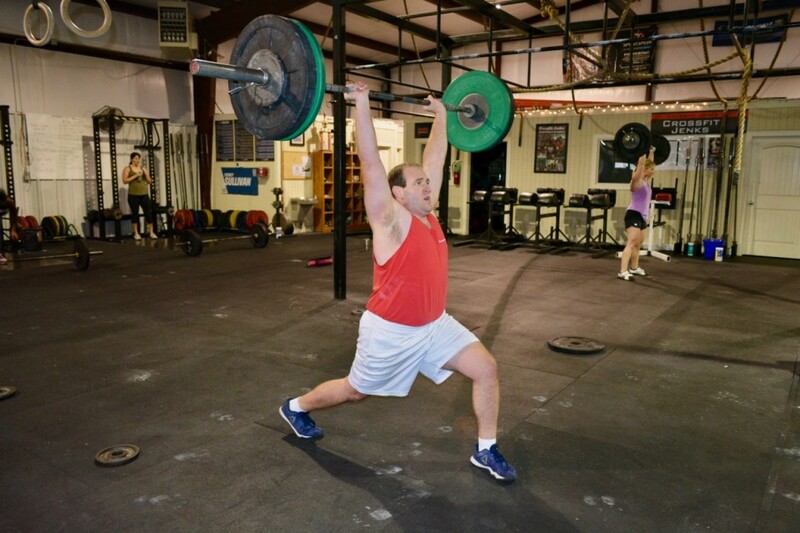 Just a few thoughts from a loser not even signed up for the Open; PUSH the burpees and squats! I would try to get the through the first 5-6 rounds as fast as possible and then settle into a good pace for 7-8-9-10. Go harder than you think you should, you’ll recover quicker than you think. I took a full 1:00 to 1:30 rest before the first clean and still had time for 5 lifts. All just my $.02 and I’m sure there are PLENTY out there that will demolish my scores. Get after it CFJ and good luck! My judge suggested that I keep my score to myself, but I don’t plan on repeating this one. Ryan is rocking some Split Jerks! Good luck, work capacity and strength CF Jenks. Take 18.2 & 18.2A Down! trying again sunday… definitely can push harder on the sprint and not feel sorry for myself!! I had 157# up but it slipped out with few seconds left, hope to try again. Good luck friends! Push hard- it’s over before you know it! Thanks for judging & the encouragement Sean! went out WAY too fast and DIED around rd 8-9..will be re doing with a different game plan Sunday! power clean up to 180(ties PR)..failed 185×2 UGHHHH…. The most beneficial thing about 18.2 are the marital discussions as a result of my judge’s communication during the workout. For 14 years, I have waited for my judge to understand some things. Yes, I do math in my head as I workout. You telling me that I can make it when I’ve already done the math tells me not that I can make it, but that you don’t think I can do math and that you’re lying to me to make me feel better.